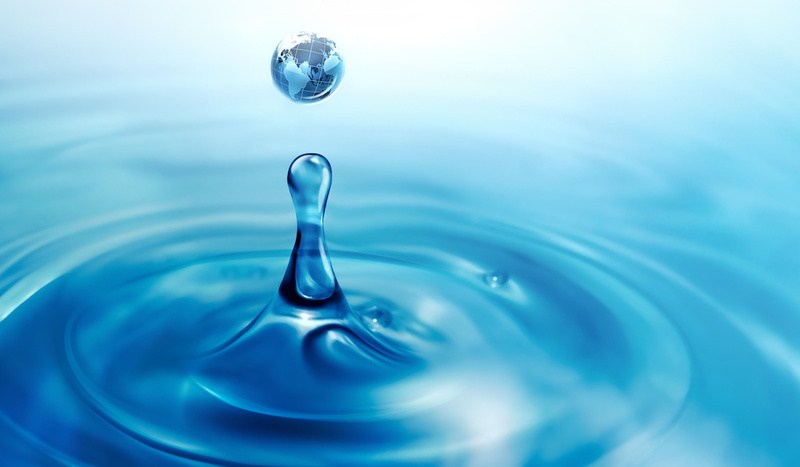 When companies are looking for a water treatment solution, they can rely on a variety of options to get the job done. For many years, they deployed conventional and conservative systems that were not necessarily geared toward water conservation. With new regulations by state and local governments limiting companies’ ability to use and reuse water, the need for innovation in the water treatment industry is at its peak. Membrane capacitive deionization, a viable competitor to traditional water treatment technologies such as reverse osmosis (RO), water softeners and electro-dialysis reversal (ED/EDR), is one recent innovation. Membrane capacitive deionization removes salts or total dissolved solids (TDS) from water sources with minimal pretreatment requirements. It eliminates dissolved salts and other minerals via direct current, or electro-deionization, where oppositely charged salt ions are attracted to electrodes, leaving pure water flowing out of the cells in a two-step process. A major difference between this technology and traditional systems, such as RO, is its tunability. Customers can choose the level of dissolved salts that are removed. Not all applications require the same removal rate, which eliminates any remineralization needed from using traditional desalination and softening technologies. Voltea, the owner of all defining patents on the use of ion exchange membranes within capacitive deionization devices, has prompted the commercialization and growth of membrane capacitive deionization (CapDI), and has systems operating on five continents. Membrane capacitive deionization is a two-step process that occurs within a module. In step one of the purification process, feedwater passes between oppositely charged electrodes that electrostatically remove dissolved ions. Ion exchange membranes are coated onto the surface of these electrodes, allowing only oppositely charged ions to pass through, leaving pure water flowing out of the cell. Once the electrodes are fully saturated with hardness/salt ions, the removal efficiency drops and step two of the process, known as regeneration, begins and only requires a polarity flip. During regeneration, feedwater flushes through the cell at a lower flow rate while electrode polarity is reversed, eliminating the need for chemical or salt regeneration. Saturated ions are rejected from the electrode surface, concentrated in the flow channel and flushed from the cell before the cycle is repeated. Ion exchange membranes and coatings prevent these ions from jumping to the opposite side during the regeneration step. The semi-batch process of purification and regeneration takes place within a few minutes, with purification occurring for about two minutes, then flipping to regeneration for another minute to a minute and a half at a much lower flow rate. This semi-batch operation enables a higher water recovery that traditional water treatment technologies cannot deliver without significant engineering design complexity. This two-step process is performed within a CapDI module, which houses a number of electrode stacks that depends on the size of the module and the flow rate required of the system as a whole. These modules make up a Voltea system, with modular build sizing. Depending on the flow requirements, the system can be sized to meet the customer’s needs. An industrial series system can accompany 1 to 48 modules in a single skid. This format allows for growth and any modifications. Traditional water treatment technologies can complicate efforts to reduce water use and the level of salts in the water. Typical water softeners require the removal of hard salts, such as calcium, magnesium and carbonates, and replacing them with two times the amount of soft salts, such as sodium, chloride and potassium. This means wastewater will have a larger volume of salts that were not naturally in the water source. That is a problem in areas where there have been restrictions and bans on water softeners due to the level of soft salts they release back into municipal water sources. When considering an RO system for water treatment needs, a heavy amount of pressure is required to force pure water through a membrane, thereby removing TDS. This method requires more power, and some applications require a water softener placed before the RO to remove hard salts that might otherwise plug the RO membranes, or require significant anti-scalant chemicals to prevent precipitation inside the RO. ED/EDR has the most similarities to membrane capacitive deionization in that it uses an electrical current to remove TDS and other hardness minerals from the water source. A major difference, however, is the distance between the two electrodes, which can be as much as 4 ft. With such a large distance between electrode surfaces, up to 600 VDC are required to create enough of an electrical potential difference to effectively remove dissolved salts. This distance measured within a CapDI cell is between 100 to 180 μm. This smaller gap allows as little as 0.2 VDC to create enough of an electrical potential difference to effectively remove dissolved salts, minimizing the power required. CapDI began as a means to tunably remove TDS and other dissolved minerals from water specifically in consumer appliances, but became useful in commercial and industrial water purification. In commercial laundry operations, removing TDS from water ensures colors and whites stay their brightest. For traditional desalination technologies, this process involves cooling laundry water before desalination. CapDI can purify high-temperature water, removing the cooling steps. The system also is viable for purifying feedwater for cooling towers due to its tunability feature. Overly pure water can strip ions from metal pipes and accelerate corrosion in valuable cooling equipment. With CapDI, customers can choose the amount of TDS (or electrical conductivity) removal required for their application without removing so much salt that the water becomes corrosive. Conservative water treatment options are being challenged by viable purification methods. While there still are challenges to abide by new regulations and be environmentally responsible, the addition of new technologies and purification options can propel the industry forward. Bryan Brister is the CEO of Voltea. Brister can be reached at [email protected] or 469.620.0133.